I don't know about you, but I still can't quite get my head around the fact that a couple of millennia ago, a certain female Egyptian used to bathe in donkey's milk. And reportedly no less than 700 donkeys were needed to provide enough milk for her daily bath(!) All this to maintain the beauty and youth of her skin. And for good reason - it has since been proven that the proteins found in milk hydrate the skin and help retain the moisture in your skin. Some experts say that milk can help certain skin conditions - that the moisturising fats and proteins in milk can help soothe redness from sunburn and can help relieve symptoms of eczema and similar skin conditions. Really generously sized, this will continue to take pride of place in my bathroom even after I finish it all up. 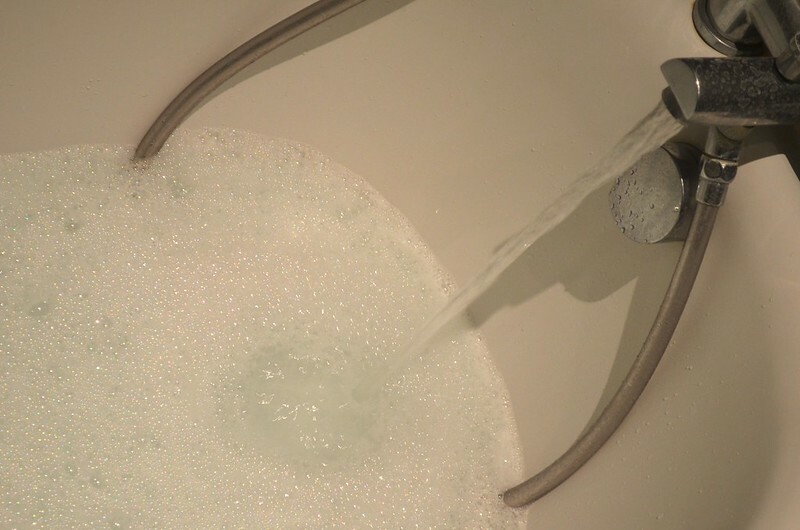 I sprinkled a generous amount of the powder into my bath and it bubbled up really easily and made my bath all nice and creamy. 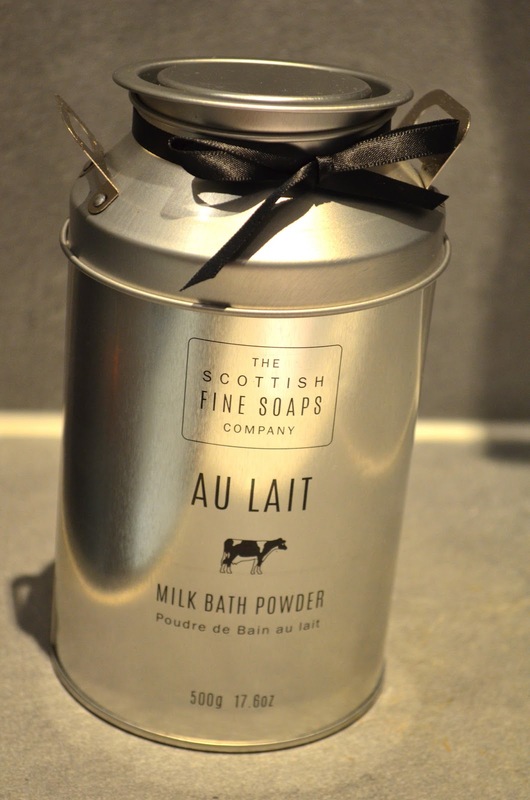 Their milk powder mix also contains camomile which added to the relaxing bath experience. Words cannot explain how wonderful this made my bathroom smell. Not just on the day of the bath - it even hung around in the air the following day. I would describe the scent as light and fresh - just like clean cotton. And speaking of soft things, it left my skin feeling incredibly smooth afterwards. 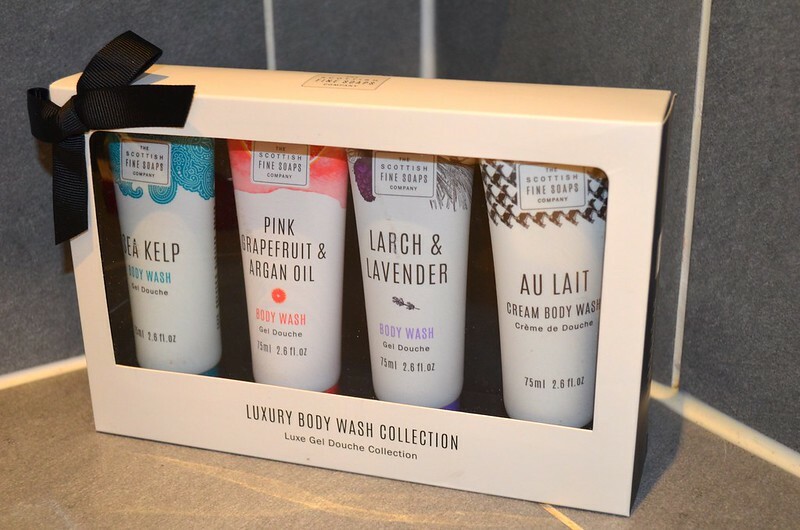 I also used their Au Lait body wash which smelt exactly the same and left my skin feeling equally soft. So a big thumbs up from me! Would buy again. 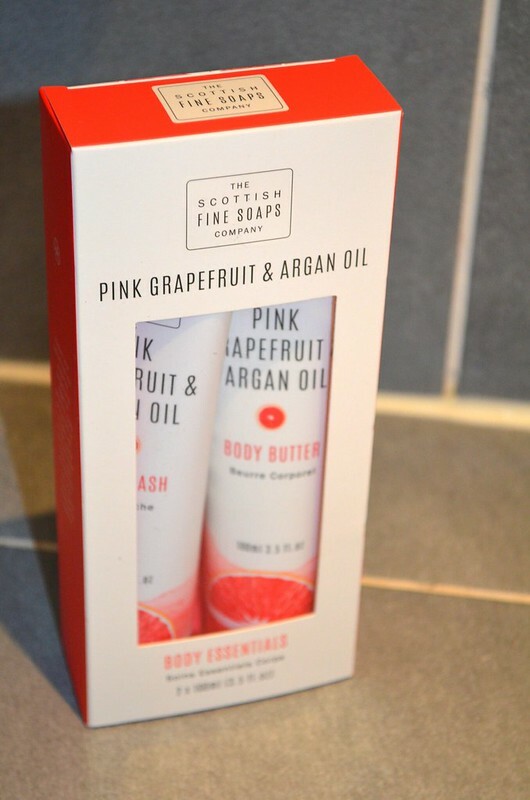 Later that week I also tried a few more of Scottish Fine Soaps' other products. 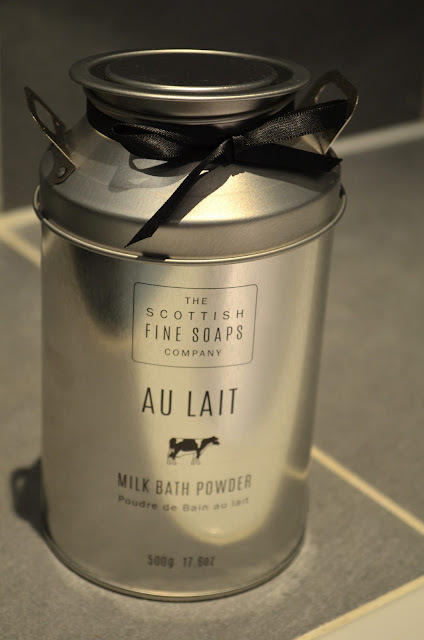 I first discovered The Scottish Fine Soaps Company through a beautiful Kelp hand soap and lotion in the bathroom of Carluccios's in London's Covent Garden. It's hard to put into words the scent... It reminds me of walks along the coast. That lovely fresh salty air. I absolutely love it. It's one of the best smelling shower products I've had in a long time. Grapefruit is actually one of the few fruits that I do not eat. I always believed it to be like watermelon - to be mainly composed of water and not have much of a smell to it - so was intrigued how this body wash would be scented. However I was proven wrong. This body wash smells sweet but in a really light and subtle way. Ideal for me as I hate really overbearing sickly sweet perfumes. The balance on this one has been done really well. I'll be honest, I had no idea what larch was. When I tried the body wash, I tried to detect what I could smell other than lavender. And I loved it. It smelt of pines and walks in the forest. When I looked up "larch" online, I found out it was pretty much that - deciduous trees. Such a beautiful scent which I imagine would be equally perfect as a candle. As you can see from the above photos, all the gift sets are beautifully wrapped in the black and white monotone aesthetic that I love so much. With the added benefit of free delivery on all orders over £20, it's a really easy website to source some lovely Christmas presents from - I know so many people who would love the milk urn! 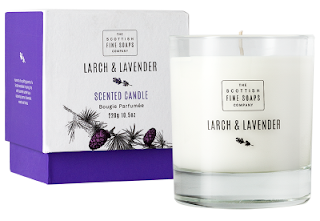 And Christmas wouldn't be complete without their Lavender & Larch candle and Lavender & Larch reed diffuser - the ultimate festive scent, which would really make the house smell like Christmas trees! In summary, I still really love the smell of their Kelp range, however their Au Lait collection is one my new favourites! I'll definitely be stocking up on more of both when I move into my new house in the new year! *although The Scottish Fine Soaps Company very kindly provided me with all the above products, as ever, all words and opinions are my own!